If you’ve ever heard of the Hudson River Greenway (and if you rent an apartment in Manhattan, you have), then you probably already have an idea of how scenic this 32-mile long waterfront route looks. Just looking at the map alone grants some insight — an extensive trail that extends up the west side of the island, passing numerous landmarks on the way. If you’ve never ridden it on your bike, though, then you haven’t truly experienced the majesty the Waterfront Greenway offers. 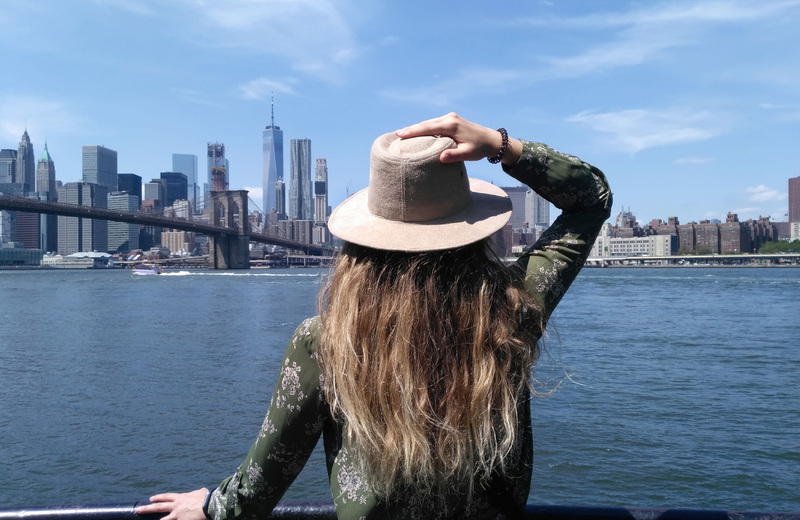 We implore you to give it shot one of these days, and in the meantime, we’re going to fill you in on some of the many sights you’ll see when you cruise alongside the waters of the Hudson River. In case you weren’t already aware, the Hudson River Greenway is a long path on the westside waterfront of Manhattan that extends all the way from Dyckman Street (at its northern edge) to Battery Park (down at the south of the island). Though tempting, you’d do best not to confuse it with the Hudson River Waterfront Walkway, which is a separate project all its own. The Hudson River Greenway is actually one component of the substantial Manhattan Waterfront Greenway, with the other portions consisting of the East River Greenway and Harlem Greenway (two guesses as to where those are located). While you could certainly do some running along this lengthy trail, you should keep in mind that this is one of the most-biked pathways in the entirety of the United States. With such a credit to its name, you almost owe it to yourself to break out the twelve-speed and take at least a short jaunt on the trail. You aren’t obligated to use their bikes or follow their suggested route, however, and if you’d much prefer to freestyle your journey, we’ve got some info that will help you chart your course straight for the sights you want to see. Should you refer back to the Greenway map, you’ll see that there are several important landmarks dotting the western side of Manhattan. Starting at the south of the trail, you have famous Battery Park. Also known simply as “The Battery,” this 25-acre park draws its name from the old-school artillery batteries that dot the premises, and in its recently-restored glory, those batteries (and the rest of the park) are a sight to behold. There’s Castle Clinton, Pier A (the fireboat station), Hope Garden, and, of course, plenty of greenery to see around the park. At Castle Clinton, you can tour the remnants of the former fort and learn a bit more about the city’s early history — should you choose. And while Battery Park is rather amazing, it’s not the only place you’ll be checking out along your bike ride up the Hudson. Keep heading north, and you’ll eventually come across the Chelsea Piers. The massive structures originally served as terminals for passenger ships during the early 1900s (they were even the destination for the RMS Titanic, if you can believe that). Nowadays, though, the Chelsea Piers are home to the Chelsea Piers Sports & Entertainment Complex. Being a sports complex, there are plenty of worthwhile activities to take part in, like ice rinks, batting cages, and gymnasium. It’s not all about the sport here, though, as the entertainment component of the complex houses a fair number of television and film production studios (like NBC Universal). Further north up the trail, you’ll encounter the Circle Line and USS Intrepid Museum. The former is a cruise line that provides tours of the Manhattan skyline from the water. If you ever thought about scoping out the island, the Statue of Liberty, and the many bridges connecting to Manhattan from a new perspective — this would be for you. As for the USS Intrepid Museum, it’s the spot to go in Hell’s Kitchen to learn more about American military and maritime history. In addition to the USS Intrepid itself, there’s all manner of important war/exploration machine from the nation’s past, like the F-16 Fighting Falcon and the Space Shuttle Enterprise. Stop in here if you’re a true history buff who loves gawking at giant flying contraptions. On an even more scenic portion of the ride, you’ll come across what’s known as the Cherry Walk — a four-mile stretch in Riverside Park that features numerous cherry trees. When these trees blossom, it makes for an even more exciting ride, so if you’re looking to maximize your enjoyment on the trail, plan for a springtime ride and bask in the splendor of those beautiful cherry blossoms. And a quaint little sight once you reach the George Washington Bridge is the Little Red Lighthouse. The name is fairly self-descriptive, and the gorgeous structure, built in 1880 and decommissioned in 1947, still stands along the banks of the Hudson, a lovely complement to any bike ride past the area. The Hudson River Greenway is a fascinating sight, for sure. It’s just one of many on the island of Manhattan, however, and there’s a lot more to take in once you get here. If you’ve ever considered making NYC home, or you’ve been thinking about a change of pace, be sure to check out fine communities like 15 Cliff, that put you right in the middle of all the best downtown renaissance action, and offer a key to experiencing Manhattan like you never dreamed possible.